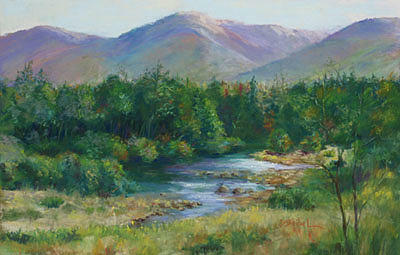 Mountain Stream is a painting by Barbara Seibel which was uploaded on January 13th, 2010. This pastel has been painted using the finest, professional materials and is unframed. Welcome to FAA Barbara! You have alot of nice work on your site, Enjoy your art.